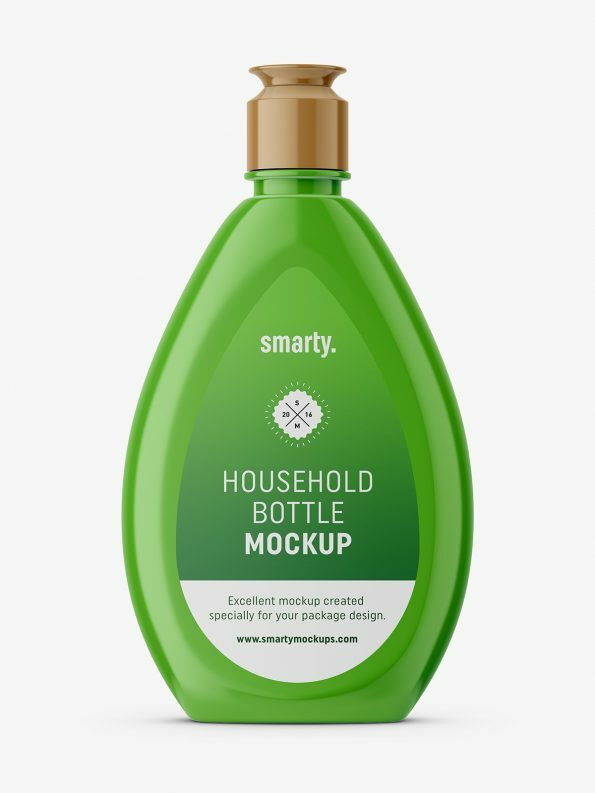 Universal plastic bottle mockup. 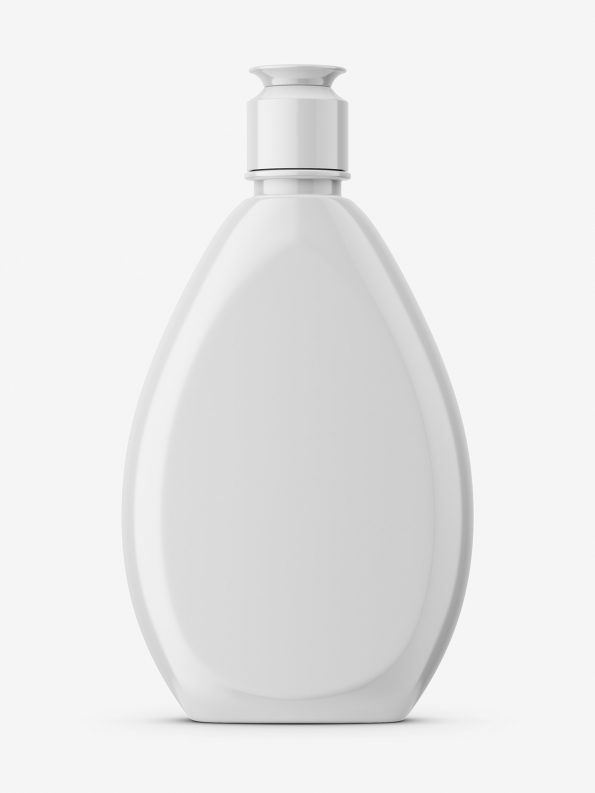 Such bottle may be used as fabric softener or other detergent packaging. Prepared with ability to change every elements color.